When it's hot outside, you just don't feel like turning on the oven. Well, have no fear, and let your freezer make your dessert for you. With this collection of 18 Excellent Icebox Recipes for Dessert you'll be able to keep yourself and your house cool. Ice box recipes allow you to enjoy your favorites in the midst of the blazing summer heat and humidity. 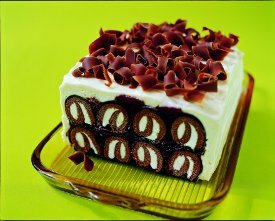 From Icebox cakes to icebox pie recipes, there is something for everyone. Give your oven a break and treat you family to a variety of no bake icebox recipes. Some are made with ice cream and others with Cool Whip. No matter how you want to enjoy these irresistible icebox recipes is all up to you. What you need to do is take a long look at yourself in the mirror and ask yourself, “Do I feel like making an icebox recipe? Well, do I?”. Hopefully the answer is "yes," because this collection of 18 Excellent Icebox Recipes for Dessert is beyond incredible. There’s no reason to sweat about what to make for dessert anymore. 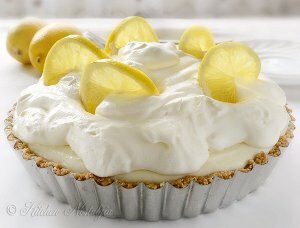 Not only are icebox recipes perfect for the summer, but they are also perfect for when you need a last minute dessert. 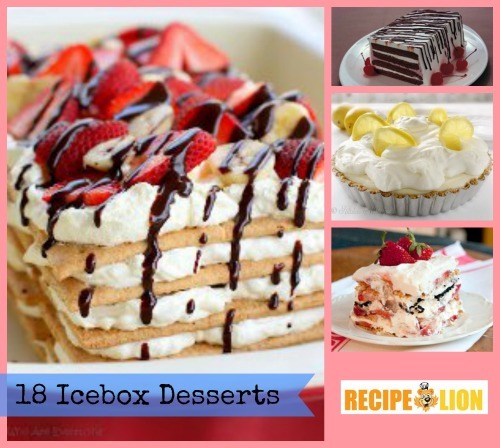 These wonderful icebox cake recipes are quick and easy, and great for when you have unexpected guests coming over for dinner. These cream-based icebox desserts are layered with your favorite ingredients. If you like fruit or nuts on top of a layer of graham cracker crust, then these icebox pie recipes are just the thing for you. 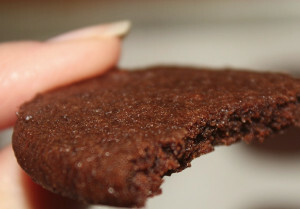 These may not be the best recipes to cool in the freezer, as the fridge will work just fine. But, if you have a hungry army to feed, then putting them in the freezer to cool faster might be the best option. Icebox recipes really do make life easier.